If you were born in the Town of Needham, or your parents resided in the Town of Needham at the time of your birth, you may obtain a birth certificate from the Needham Town Clerk's Office. The fee is $15 for a long form birth certificate (which is required in order to obtain a passport) and $10 for a short card form birth certificate (which is used for most other purposes). The turn-around time is prompt. If you call ahead, the certificate will be ready when you come in to pick it up. If you send for a birth certificate by mail, the certificate will be sent out the same day as the request is received. Or, you may go to Online Bill Pay on the first page of the town's website: www.needhamma.gov. If you applied for your marriage in the Town of Needham, you will be able to request a certified copy of your marriage. The fee is $15 per certified copy. The turn-around time is prompt. If you call ahead, the certificate will be ready when you come in to pick it up. If you send for your marriage certificate by mail, the certificate will be sent out the same day as the request is received. In order to obtain a marriage license, Party A and Party B must appear together to fill out the Marriage Intention at any Town Clerk's Office in Massachusetts as long as they are getting married in Massachusetts. The Marriage Intention is good for 60 days. There is a three-day waiting period. Pre-marital blood tests are no longer required. The fee is $35. If you have any questions, please contact the Town Clerk's Office. If the individual died in the Town of Needham, or was a resident of the town, you will be able to order a death certificate on that individual. The fee is $15 per certified copy. The turn-around time is prompt. If you call ahead, the certificate will be ready when you come in to pick it up. If you send for a death certificate by mail, the certificate will be sent out the same day as the request is received. To obtain a copy of a vital record from the Town of Needham, please make check or money order payable to the Town of Needham and send to the Town Clerk's Office, 1471 Highland Ave. Needham, MA 02492. 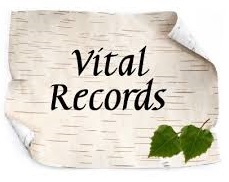 All Massachusetts vital records may also be obtained at the State Registry of Vital Statistics by calling 617-740-2600.